The Trump administration has stepped up prosecutions of people who cross the southwestern border illegally, but a judicial reform group said there's no evidence that such prosecutions will deter illegal immigration. The Vera Institute of Justice, in a report issued Wednesday, said its analysis of a previous attempt to use prosecutions to stem immigration — known as Operation Streamline — shows that prosecutions and incarceration do not deter migration. Instead, the prosecutions clogged courts, shifted resources from more serious cases and robbed people of due process. The finding comes as the administration has been taking children from parents at the U.S.-Mexico border so their parents can be prosecuted. The children are held at federal facilities, often some distance from their parents, until they can be connected with a relative or sponsor or in some cases placed in foster care. "The negative consequences of this policy may well end up being even greater than those of Operation Streamline, but this analysis strongly suggests that it will fail in its stated goal of deterring future immigration, at tremendous cost to immigrants, the court system, and due process," the institute stated in its report. Justice Department spokesman Devin O'Malley declined to comment on the report. Operation Streamline was implemented in 2005 under the George W. Bush administration and required prosecution and incarceration of people who had crossed the border illegally. It was launched in Texas, implemented over five years on the Southwest border and used as recently as 2014. In an April 6 memo to U.S. attorneys, Attorney General Jeff Sessions said that past prosecution efforts such as Operation Streamline led to a drop in apprehensions in certain districts. But the Vera institute said its analysis showed the decrease in apprehensions was part of a long-term decline. "There was no evidence that the decline in apprehensions was caused by Operation Streamline," said Michael Corradini, one of the authors of the Vera Institute of Justice report. It's impossible to know how many people cross the border illegally because some are never caught. The Border Patrol uses apprehensions to measure illegal crossings. Simply comparing apprehension numbers before and after Operation Streamline is not enough to determine its effectiveness, Vera stated in its report. The institute said it conducted a more "sophisticated" analysis, using monthly data for each Border Patrol sector and studying differences in apprehensions before and after Operation Streamline went into effect in each Border Patrol sector over a longer period. Other push factors —such as violence or conflict in home countries and pull factors — including economics or rejoining family — were more likely to have caused changes in apprehensions, the report said. "As measured by apprehensions, the criminal prosecution of immigrants under Operation Streamline was not an effective means of deterring unauthorized immigration," the report states. The prosecutions did affect the federal justice system. Judges saw their courtrooms fill up with immigrants whose hearings were conducted all at once, raising concerns about due process. Federal prosecutors also had to dedicate time and resources to Operation Streamline prosecutions instead of more serious cases. Public defenders had little time with clients, the report states. "Asylum seekers were swept up in this," Corradini said. "Under international and U.S. law, asylum seekers are supposed to be able to press their claim. They were criminally prosecuted and deported to the countries they were fleeing. That's what's happening (now). The initial evidence we are seeing from the new "zero tolerance" policy is that we are already seeing some of the same effects." 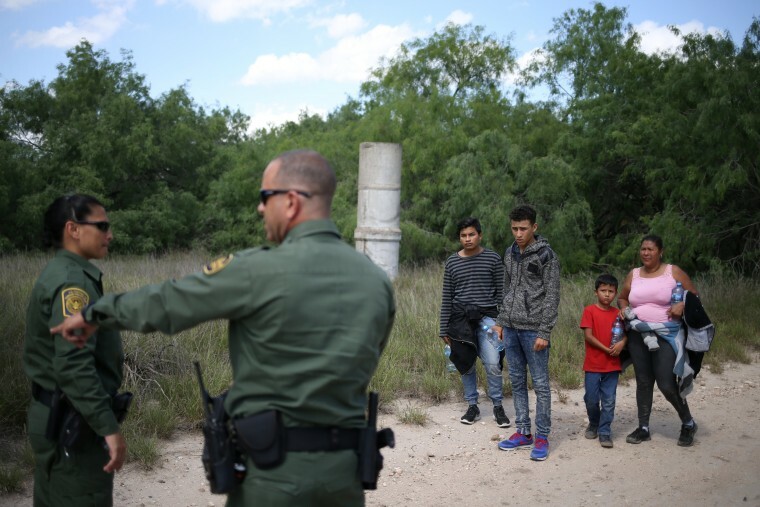 A 2010 Berkley School of Law analysis of Operation Streamline also found that it had overwhelmed the courts, creating unprecedented caseloads in eight of 11 federal district courts on the border. It also found that the prosecutions diverted resources from drug smuggling and trafficking cases on the border to the immigration cases. After conducting interviews with judges, Border Patrol, attorneys and others involved in the prosecutions, Berkley School of Law's Warren Institute concluded that Operation Streamline was not effective, had unacceptable consequences for agencies, migrants and the rule of law. It recommended Operation Streamline be ended.